From the Imperial War Museum, October 11, 1918. 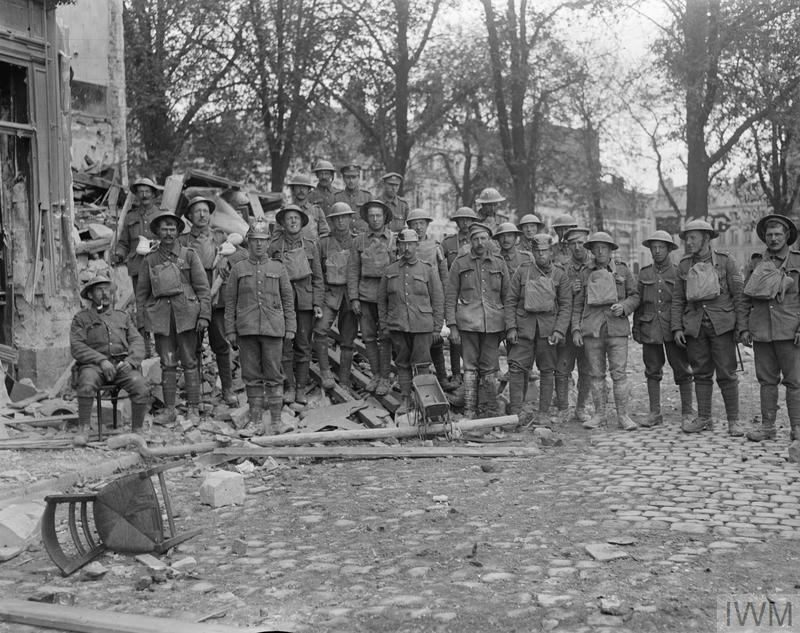 A party of the Royal Engineers (57th Division) engaged in clearing up the area in the centre of Cambrai devastated by the German mines, 11 October 1918. 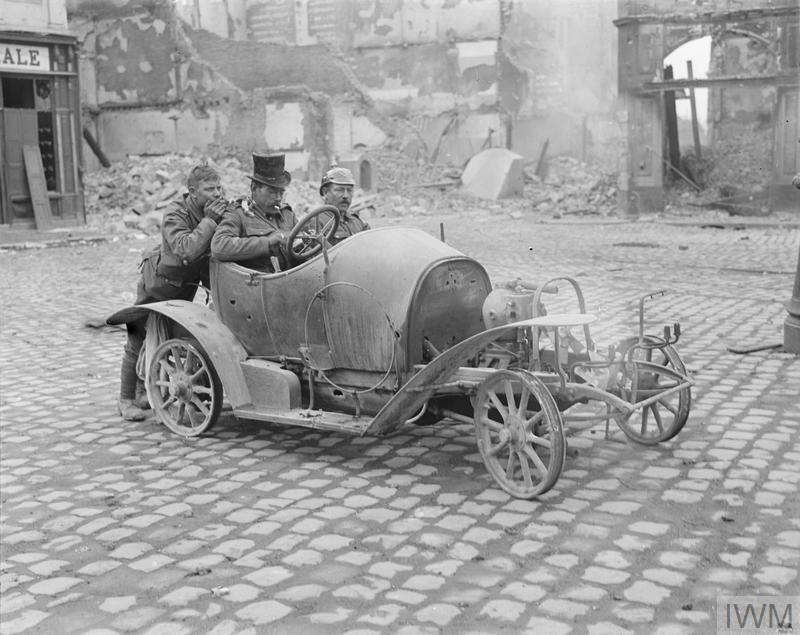 Three British soldiers amusing themselves in Cambrai with the remains of a motor car, 11 October 1918. Goodness, the fellow in the pickelhaube looks terribly convincing with that mustache. I hope he was always surrounded by friends! The clay pipe at the far left in the upper pic is cool to see. I wonder if it is a souvenir as well -- briar was pretty much the norm by this time and not nearly so fragile in a soldier's pocket. I wonder if the retreating Germans did a certain 'something' to that chair in the foreground, so that the Brits wouldn't want to sit in it? Damn spoilsports. Ah. Yes. Briar was the norm until the war really got going. Then there were huge shortages (even for America.) If you look to the history of Kaywoodie (one of the larger manufacturers) they could not get enough briar. Ha ha ha I'd worry about the souvenir pickelhauben too! Of course! That makes perfect sense, thank you. I've got one of those -- looks like a normal pipe that somebody went crazy on with a router bit. I have seen them and have been tempted on a few occasions... I think they continued making them after the war- but that was when the practice started. Hey Rix, I stopped by that monument to Murray Davis and actually got out to look around and discovered that the obverse side is different and much cooler than the other picture I took of it. I had stopped because I noticed this yard sign thing at other monuments around town, and this one had one too. There's an eagle and a flagpole that is near a giant fountain in a traffic circle at Meyer Blvd & Ward Parkway. I always enjoyed looking at the screaming eagle and flag-pole, reminded me of the 101st Airborne for some reason, apparently it too is a WWI monument. I guess since General Pershing was from the area Kansas City built a lot of WWI monuments, Liberty Memorial being one of the most well known and the only National Monument (I think) to WWI in the country for most of the last century and well into this one, I think they are building or have built a new one in DC. Doesn't compare to the original. Great info and pics on the major's memorial. I like those yard signs too. Glad that the people there noted the major's name and the 100th anniversary. Thanks pate! From the Imperial War Museum, October 12, 1918. 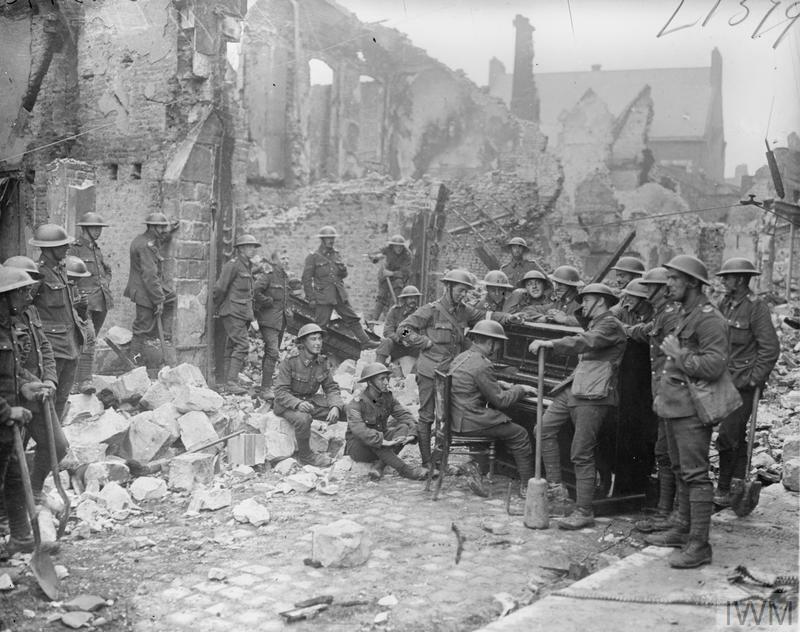 Men of a pioneer battalion resting whilst engaged on clearing debris in Cambrai, 12 October 1918. 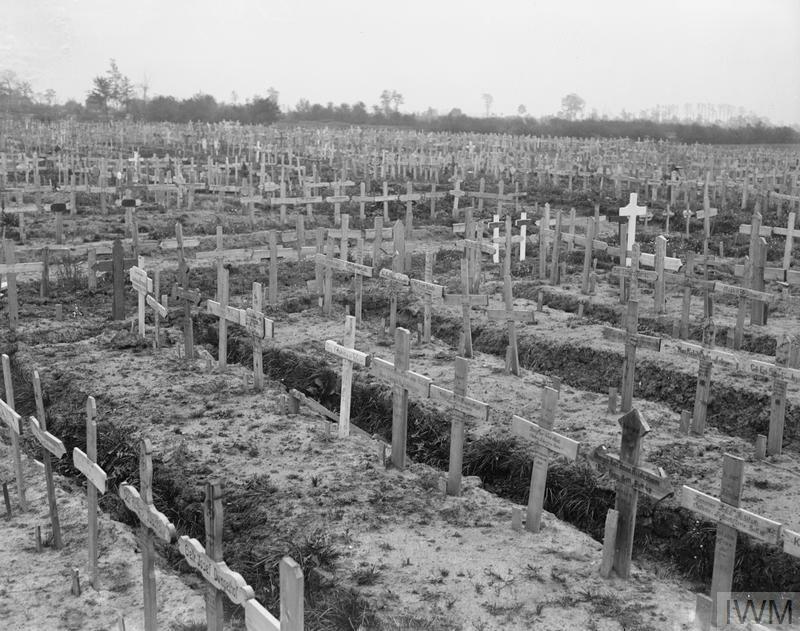 A German war cemetery containing five thousand graves at Sailly-sur-la-Lys, 12 October 1918. 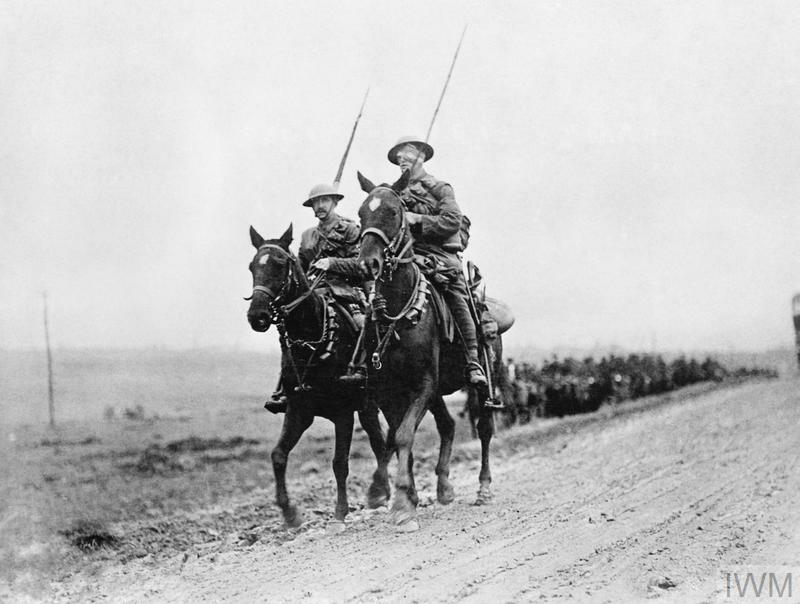 One Hundred years and one month ago isn't too far off the mark I imagine. Truthfully, I just saw this one today and stopped to grab a few quick snaps of it. I am going to try to get some pictures of the other one I know of @ Meyer Circle (the flag-pole with the eagle monument, & plaque listing all the Kansas City fallen of WWI) one of these days. I am now keeping an eye out for these WWI 100th anniversary "yard signs," I have a sneaking suspicion there are more than the three I currently am aware of. I wonder if kcparks.org has a map or list of all the WWI monuments? I honestly haven't had too much time to check into that. If there is such a list or map, I would take time off from my "day-job" of pan-multidimensional skip-tracing and fart around snapping photos of as many as I could get to in this my off-duty thyme-line. Probably TMI there, apogees. Great coverage there, pate. I wish I could see the monuments with you. I like how those two trees flank Major Bland's monument. If you have any old cemeteries nearby you can walk through them and see how many soldiers and sailors served during the war. How can you tell? Well, just look at the color and shape of the headstone below and nine times out of ten, they will belong to someone who was in WWI. (Civil War veterans had similar shaped headstones as well.) Keep up the good work, pate! Cheers. What a great picture, Rix! At least those spoilsports didn't take a poop in the piano. Thanks, K. Haha! Yes, the piano remained unscathed, though it might have been somewhat out of tune. Looks like the soldier next to the piano player found himself a butter churn. Oh that's what that is! I was wondering if it was an improvised gutbucket or something. The ones behind the piano are definitely singing -- they have that rapt look. I wonder what; maybe Mrs. Murphy's Chowder, with churning man taking the verse? Oh yes, K. I can picture them singing that and I can hear it in my mind's ear. Every spoonful made you yodel louder. What's going on boys? Competing 100 Years Ago threads? Or just spreading the love around? Both threads were running independent to each other so it's only fair that they continue to exist in their respective forums. But yes, come to think of it, we are spreading the love. I'm toying with an idea for a thread and wonder what you guys think. It's not exactly 100 years old but it's 76. 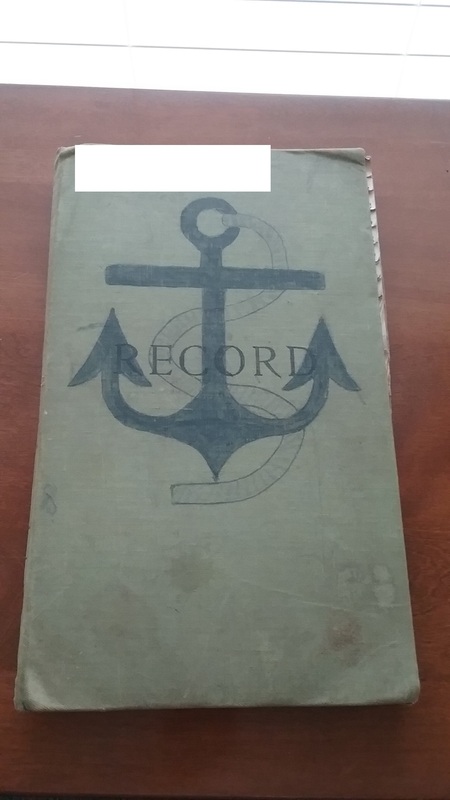 It's my Dad's notebook from his training to become a Torpedoman's Mate in the Navy from WWII. what do you think? Interesting or just dry, pretentious schlock? I would find it interesting, Walks. Give it a good thread title and serialize it, like show one page per day so that readers can easily digest the material and comment on it. Plus you can enter whatever comments you yourself would like to make. If you do three or four pages per entry, I guarantee that casual viewers won't pour over the material. You might find some videos to accompany the book's pages too. But again, nothing over five minutes long or people aren't going to watch them. Just my two cents, Walks. Sounds like a treasure; would read. I agree with Rix and would read them. I have about 20 letters from a civil war union soldiers. He fought in the 20th of Maine regiment at Gettysburg, Little Round Top. His letters to his wife about the battle and the role his regiment played at that pivotal point in history is very descriptive. Years ago, I transcribed them and posted them on a few civil war sites, sent them to Maine's civil war historical society, and sent them to an author that had wrote a few books about the 20th of Maine Regiment. I also posted about them on bellgab. I also have the soldiers service record from the national achives and a fantastic portrait of him from the Maine historical society. Interesting side note, I was watching a history channel show about the civil war and his portrait was flashed on the screen. 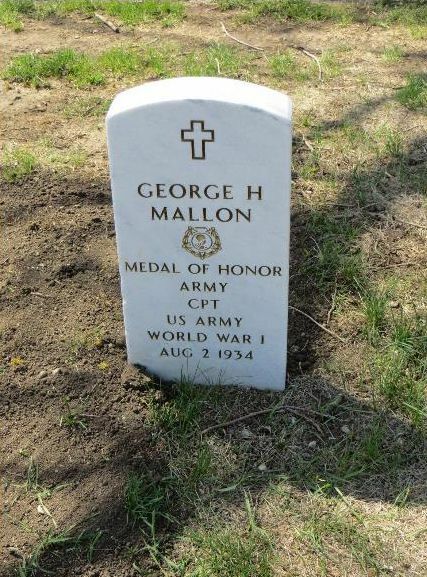 I also located and visited his grave site and researched him on Ancestry.com. The letters were given to me by a friend that knew I had an interest in history. He has no known connection to the Soldier. Thomas A. (Tom) Desjardin (born 1964) served as Maine's Acting Commissioner of the Department of Education. He is an American historian who has written books on the American Civil War and American Revolutionary War. Desjardin was born at St. Mary's Hospital, now Saint Mary's Regional Medical Center (Maine) in Lewiston, Maine. Desjardin earned a bachelor's degree in government and a master's degree in communication from Florida State University, where he was a member of Phi Gamma Delta fraternity. He earned a Ph.D. in U.S. History from the University of Maine and has taught at his alma mater (FSU), at Bowdoin College, and the University of Maine. He is also a former fellow at the Gilder Lehrman Institute of American History in New York City. These Honored Dead: How the Story of Gettysburg Shaped American Memory (DaCapo Press) ISBN 0-306-81267-3 - "Utterly magnificent." - Esquire. "A literary masterpiece." - UK Guardian. "Wonderfully written, provocative and informative." - Civil War News. 1993 - Feature Film Gettysburg (1993 film). Historical advisor to actor Jeff Daniels - In 2011, Daniels said publicly of his role as Joshua Chamberlain: "For me, whatever people think that role was, it is because of Tom Desjardin." I'll give it a shot guys. We'll see where it goes. White Crow - that is so awesome and that is one cool looking dude in the photo! Thx.. I speculate the letters may have been left in an appartment or home that my friends' parents owned. I can trace his address to the same city on the national census roles. Good for you, Walks. I'm looking forward to it. And yes, W.C's civil War soldier's eyes are magnetic, for lack of another word. From the Imperial War Museum, October 13, 1918. Jimmy Liggins was born on October 14, 1918. From the Imperial War Museum, October 15, 2018. 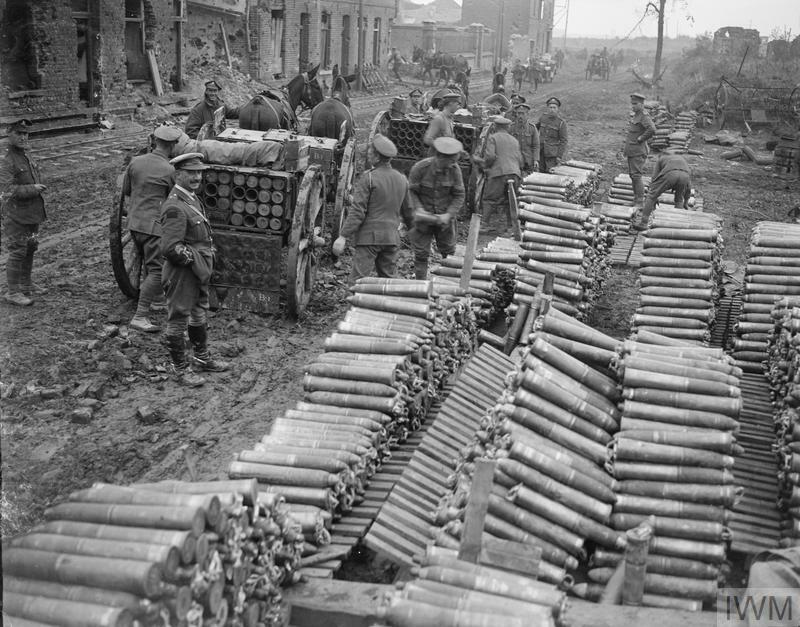 Men of 20th Division unloading limbers to form a roadside dump of 18-pounder shells at Drocourt, 15 October 1918. 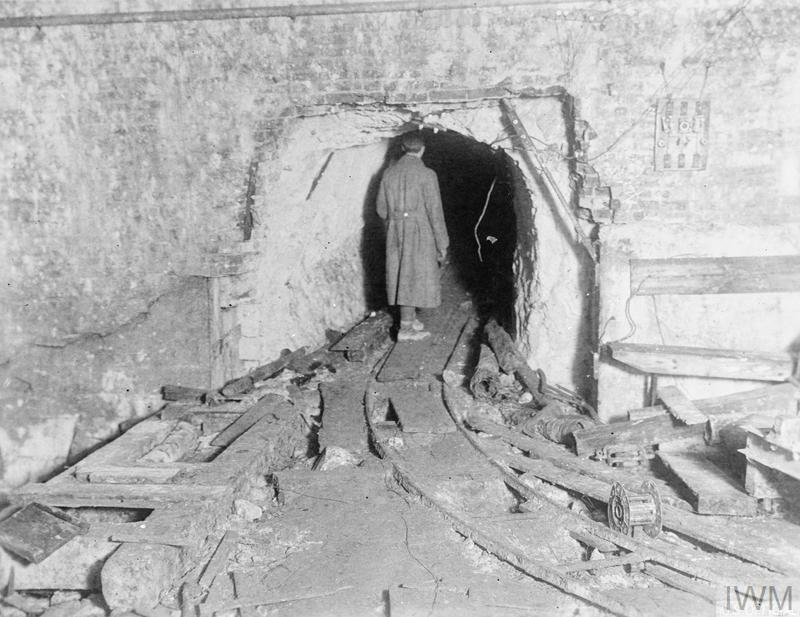 An American soldier examining one of the 19 secret entrances and exits which were hewn through solid rock for a distance of several miles by the Germans in the St. Quentin Canal Tunnel. 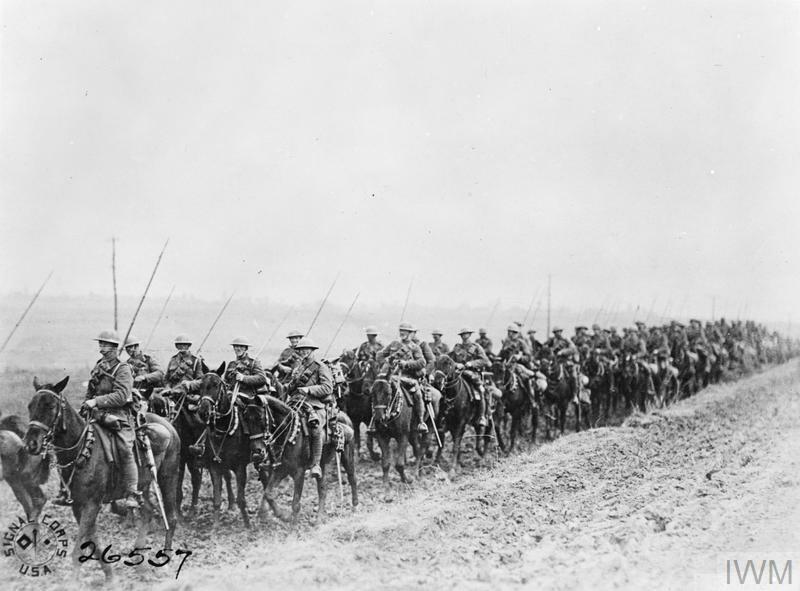 Bellicourt, 15 October 1918. From the Library of Congress. 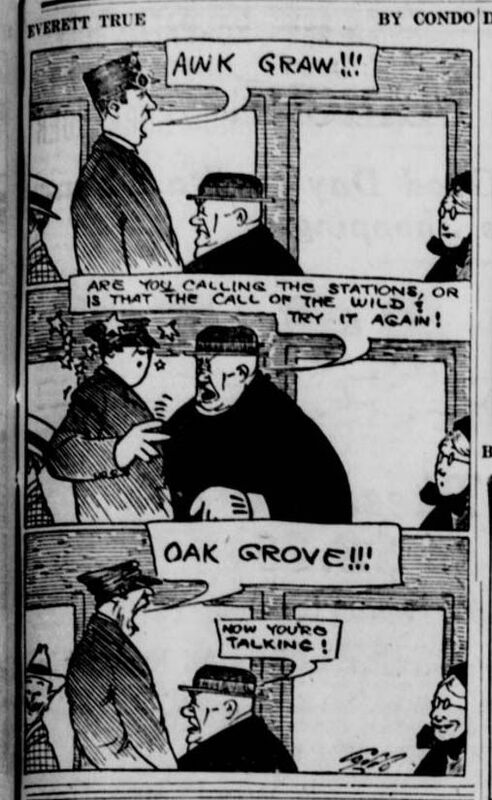 The Seattle Star, October 15, 1918.